If you try to back out of the deal, Comcast will sock you with an additional charge. According to Karl Bode of DSL Reports, the termination fee for anyone choosing to unsubscribe from its service will likely top $1,000. Meanwhile, Seoul provider HelloVision offers 1,000 Mbps fiber speeds (up and down) for a monthly cost of little more than $30. Amsterdam’s XS4ALL sells a respectable 500 Mbps service for $72.29 a month. To get a similar 500 Mbps service in Los Angeles, New York or Washington, D.C., Verizon customers have to pay $300 a month. Put in simpler terms, people in these three American cities would have to give Verizon nearly 10 times as much for half the speed available to residents of Seoul. The spiraling cost for super-fast services isn’t an issue for FCC Commissioner Michael O’Rielly. To O’Rielly and his broadband-industry allies, access to high-speed Internet services aren’t necessary for life in America. According to O’Rielly, Internet access isn’t an essential utility like water or electricity, but a product to be priced as high as the phone and cable monopolies dictate. And high-speed Internet services should be considered a luxury item -- like a Rolex watch or a Birkin handbag – offered as a privilege for the few who can afford them. The subtext to O’Rielly’s speech may be less apparent. What he’s really saying is that Washington shouldn’t be talking about high-speed Internet as necessary infrastructure. 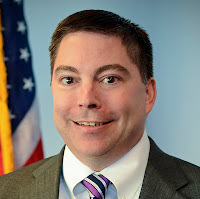 Admitting that broadband access is critical to promoting the nation’s general welfare opens the door to conversations about policies that “encourage the deployment … of advanced telecommunications capabilities to all Americans,” which is the mandate Congress gave O’Rielly’s FCC. Those are the types of conversations that O’Rielly is trying his best to avoid. While comparing U.S. services to those in places like South Korea and the Netherlands may be apples to oranges, one can’t deny that the fast and cheap Internet services Americans want are a reality for many people in other developed countries. And this matters. According to a 2012 ITU study, expanding access to affordable broadband services has “considerable positive spill-over effects on the economy,” both in terms of fostering GDP growth and creating employment in the countries studied. This finding is bolstered by additional studies conducted by McKinsey & Company, the World Bank and the Brookings Institute. That economic growth is in our country’s best interests should be a no-brainer. But the interests of cable and telecom giants don’t usually align with what’s good for the rest of us. Executives at companies like AT&T, Comcast, Time Warner Cable and Verizon care only about dominating the marketplace and maximizing profits for their shareholders. And broadband is a very profitable service, with operating income margins for cable ISPs above 60 percent and rising, according to analysts at SNL Kagan. The lack of competition in the U.S. helps pad these profits; 82 percent of American homes have only one option at most to get connected to download speeds of 50 Mbps or higher. “No company should be protected from public interest obligations, especially where meaningful competition is not present,” FCC Chairman Tom Wheeler said in a speech late last year. But freedom from obligation is exactly what these monopoly-minded companies want. Competing with other carriers to provide faster and cheaper access to everyone doesn’t factor into their business plans. This is why giant phone and cable companies and their Washington allies like Commissioner O’Rielly don’t want you to think about the Internet as infrastructure. And they don’t want to admit that providing universal access to a fast, open and affordable Internet is integral to any discussion about boosting the nation’s economic recovery. In a letter sent last Friday to Chairman Wheeler, Sens. Al Franken, Ed Markey, Bernie Sanders and Elizabeth Warren described how the broadband industry abuses its market power by raising costs and limiting services. They urged the agency to collect more data on the ways ISPs price their high-speed services so that we can better understand why the big phone and cable companies charge so much. That’s a start. But we must also begin talking about broadband as essential infrastructure in America. It’s a bridge to our future that’s been left in disrepair. Costs for high-speed services are too high, choices are too few, and the companies that control access are too resistant to changing that. If we want to bring our economy into the 21st century, we need to change this thinking and treat affordable and fast Internet access as the public necessity it is.